A new standard line of brass collars and couplings with stainless steel fasteners that hold securely and resist corrosion and galling is being introduced by Stafford Manufacturing Corp. of Wilmington, Massachusetts. Stafford Brass Shaft Collars are offered in one-piece, two-piece, set-screw, and hinged styles and the brass couplings in one- and two-piece styles; with stainless steel fasteners. 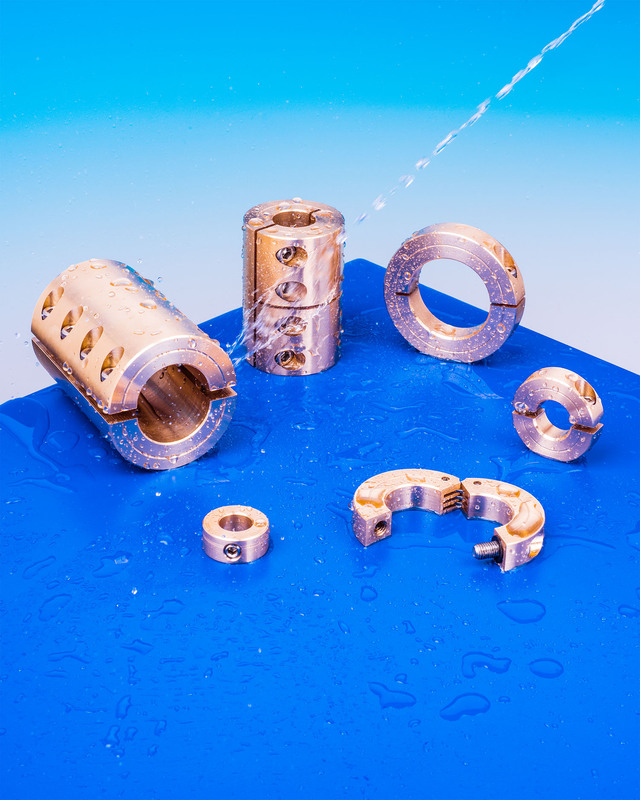 Machined from C360 brass or optional C464 Naval brass, these corrosion-resistant shaft collars and couplings are a lower cost alternative to 304 and 316 stainless steel products. Suitable for commercial, industrial, and military applications, Stafford Brass Shaft Collars & Couplings are available in six standard sizes from 1/2” to 1-1/2” I.D. Ideal for use with pumps, mixers, impellers, propellers and other brass components, they can be modified with special features such as keyways, square and hex bores, grooves and other treatments. Stafford Brass Shaft Collars & Couplings are priced according to size and quantity. Price quotations are available upon request.